This event is not presented by AAASWFL. However, Area Agency on Aging will have a table at this event. The 2019 Recreation and Wellness Expo is free and open to everyone. 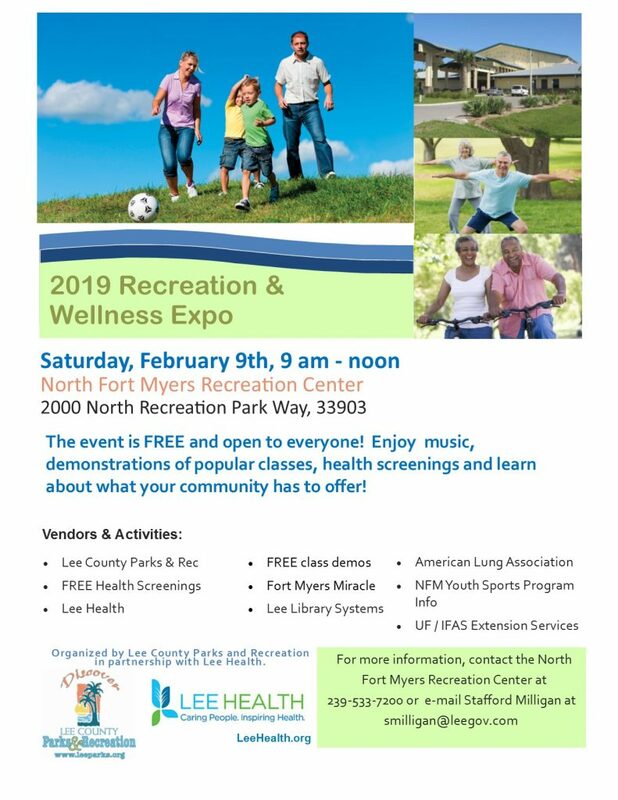 Join Lee Health, Lee County Parks and Recreation, and dozens of community partners for music, demonstrations, health screenings, and more.